A tiny village outside Bath has become the first in the country to have high speed fibre broadband installed from scratch. 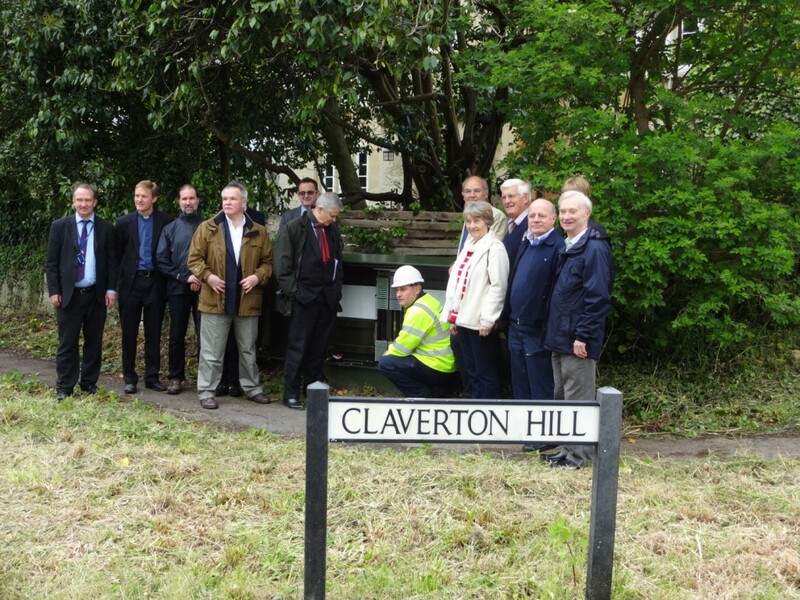 The village of Claverton has just 70 houses and no broadband infrastructure, so it was not on the list for broadband access, despite being in a valley just a few miles outside Bath and almost next door to the city’s world class university. One of the reasons for this is the financial modelling used by infrastructure provider Openreach, which assumes a 20% takeup of services. The cost of installing fibre across 4km to reach the village for just a few houses was uneconomic. The residents of the village didn’t take no for an answer, and as this included several technology and telecoms executives and lecturers from the nearby University of Bath they investigated many different options over the last few years, including a mesh network over the hill to a connection point. Two years ago they started negotiations with Openreach, and part of this was to change the financial model. To do this, the village has partly funded the installation. All the houses in the village were part of the scheme, on the basis of paying what they could afford. Several home-based businesses contributed more, but access was not dependent on the contributions. 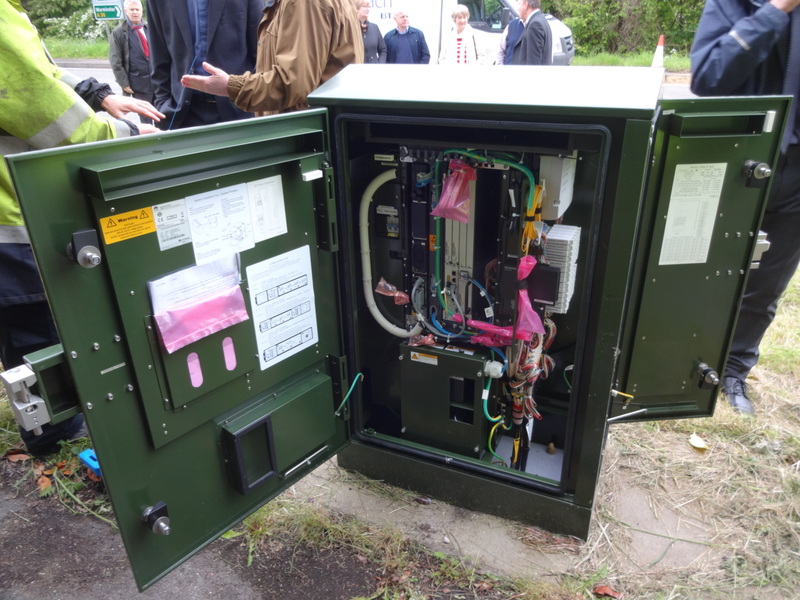 Instead, this demonstrated to Openreach and service provider BT that the demand for the service was much higher than the expected 20% and as a result reduced the amount the village contributed. However, there was a clear argument that having high speed fibre broadband increased the value of their homes, and so far the uptake is 40% and rising. Twelve fibres were installed on the aerial route alongside the copper phone cable, connecting to a new box in the village with Huawei’s termination equipment. Just one fibre is lit for broadband, and as this is shared between just 70 homes rather than the usual 200 to 300 there will not be a problem with contention. This also leaves the village well placed for the next generation G.fast rollout of speeds of 400 to 500Mbit/s in 2016 and 2017.